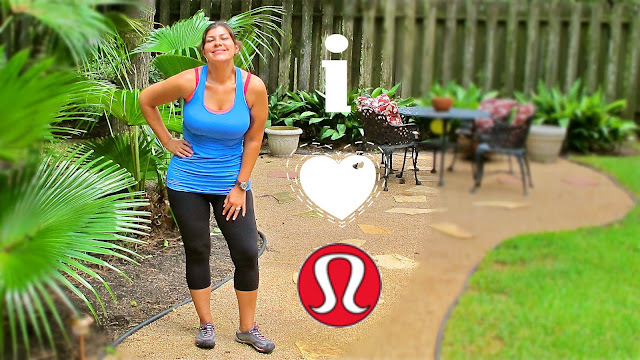 delicious wife: i love lululemon athletica! if you've been paying attention, you know every thursday i do gym stylin'. if not, you can check out all my wish list looks for pumping iron, here. because i work out in my garage, it's easy to slum it. but, i have a major crush on my personal trainer, so i have to look a little cute...even if i am married to him! 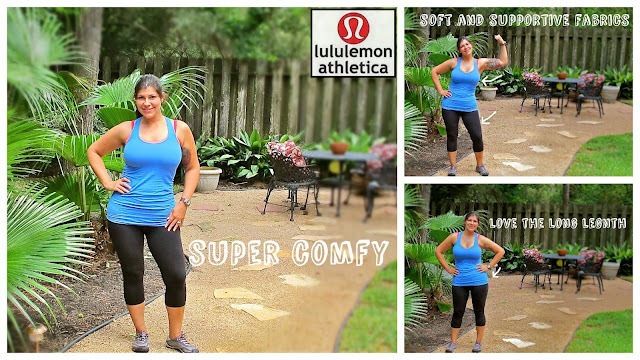 he gave me a $200 gift card from lululemon athletica for mother's day! he actually reads this...so sweet. he said, "now, you can go buy the workout clothes you want, and blog about them." i have to admit, for a split second, i thought, "great, now i can go spend $200 on a pair of socks and a head band!" so, almost a month later, i finally made my way to the lululemon store. first, i have to say the customer service was awesome! second, the selection was insane...there was so much to choose from in every cut, style, color, and size. and they have everything...sports bras, jackets, yoga gear, bags, and, of course, socks and headbands. i went for the basic this time around. because, the prices are reasonable, i didn't even have shop the clearance rack. and everything is super soft and super comfortable! i bought 2 racerback tanks, a pair of shorts, and a pair leggings. talk about flattering, these clothes accentuate every curve and forgive every bump. and the support is incredible...holds everything in the right place without digging in. oh, and i can't forget to mention the free tailoring! if you find something you want and it's not the right length, they'll alter it for FREE! i've kind of been slacking a little, lately. no biggie, i'm ready from to set June on fire. check out my fat to fit story and my eat clean, get lean progress. 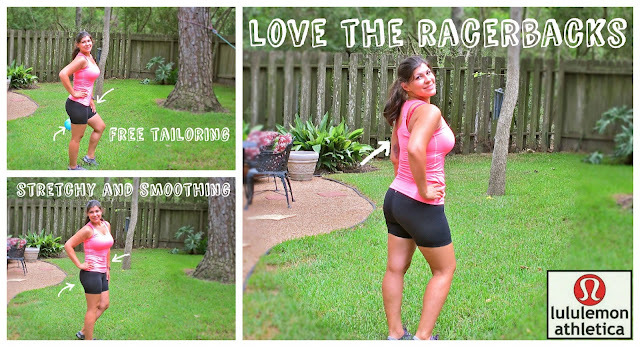 funny how cute clothes can really get you motivated. i can't wait to hit the gym tonight!